Hagstrom electric bass case for all Hagstrom Viking Bass models. 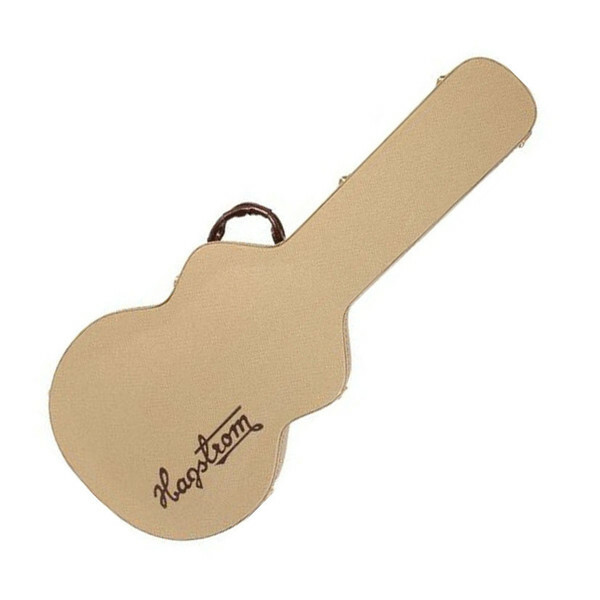 Hagstrom hard cases are manufactured in Canada from high grade plywood and feature heavy duty gold plated latches, an ergonomic soft handle, and deep plush lining to reduce interior movement. The outer finish is a beautiful vintage tan Tolex with brown stitching and matching Hagstrom logo.